Since my ideas are going into the the theme of human body within/combined with nature I was looking into different views and perspectives on this idea. I found an article by a Photographer Mike Green who makes valid points and views on why we try to see human shapes and forms in landscapes and the natural world. When making photographs, my inspiration lies in catching and interpreting those types of light which are less familiar. Currently, many of the images I am creating are when the sun is below the horizon, or thoroughly hidden by cloud, revealing the subtlety of colours inherent within water, rock and foliage. Having travelled widely, and been an active mountaineer on four continents, I am now keen to use my experience of the many forms of light I've seen to envisage and create photographs which capture the character of those wild landscapes, and I am using photography as a reason to revisit favourite countries and locations. 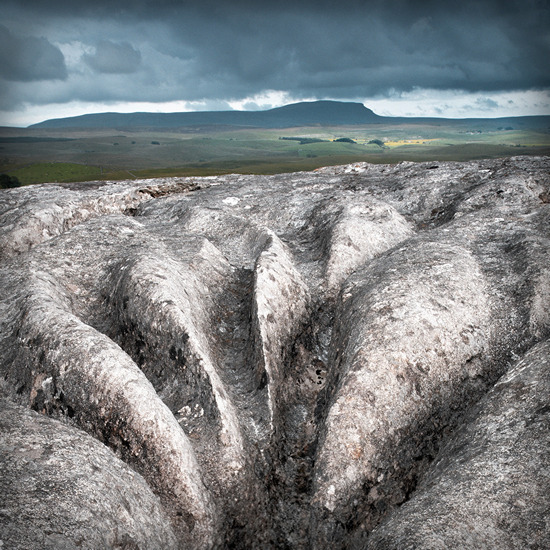 I am based in the beautiful Yorkshire Dales, in the north of England. More of my work may be viewed on my portfolio ( http://www.mikegreenimages.co.uk/ ) or on my Flickr site ( http://www.flickr.com/seaofvapours/ ). I've also just started a blog, mostly as a diary of how I came to make certain images and general musings/thoughts on photography. ( http://mikegreenimages.wordpress.com/ ). I keep seeing human behaviours and emotional states in photographic subjects which I know full well are not human and don’t have such characteristics; trees, rocks, clouds, that sort of thing. In other words, I’ve recently been anthropomorphising images wildly. Obviously, I know I’m merely projecting these human characteristics, and I’ll assert my confidence up-front that it’s not just me sliding into early dementia here: Flickr and the like are awash, judging by the comments, with ‘malevolent‘ weather systems, ‘brooding‘ mountains, ‘dancing‘ streams, and generically ‘moody‘ examples of just about everything. Beyond that, people have historically named features and built folklore around them: the countryside is littered with named rocks and trees, and Scottish mountains often translate as body parts. It’s apparent that people like to see their landscapes in terms of human characters, and the starting point of this article is that I’ve come to think that anthropomorphism helps inappreciating images; but does it help in creating them too, or could it? I’M NOT TALKING ABOUT ANIMALS AND BIRDS…. To define the scope of what I’m musing about here: it’s obvious that shots of animals behaving, or appearing to behave, like humans are engaging, eye-catching and have an emotional impact ñ after all, we can readily project our own emotions onto the subject and thereby feel that we identify and empathise with it, making the image more appealing. As simple examples, think ‘happy dog’ or ‘playful kitten’. Apart from anything else, those projections may well, on some level, be entirely reasonable; the dog may well be happy and the kitten may indeed be feeling playful. But what about landscapes? I’m not taking much risk of argument (I hope!) in asserting that a large rock doesn’t actually feel like a ‘guardian of the cove‘, or whatever! Nonetheless, even for non-sentient objects, does anthropomorphising make landscape images more accessible to the viewer; more alluring? Does an image with which we can create an emotional connection, or whose subject’s motivation we can imagine that we understand, whether consciously or unconsciously, help the image itself, in the sense of making it a better photograph? 1. Projecting our own behaviour onto things is an attempt to understand them. Essentially, this is a typically child-like habit which we largely grow out of when we realise that the World really doesn’t quite work that way. This is mostly applied to things which actually look human to some degree, often featuring eyes, ears, arms, etc. Think dog and kitten again. 2. Seeing things as human in order to provide a connection with them, to develop empathy. Consider people ‘sharing‘ a quiet, contemplative moment with their favourite tree. This is more the realm of literature than visual images, though I’ve certainly seen images in which people are supposedly ‘enjoying sitting with the tree / flowers / rock / stream’; the very words ‘sharing‘ and ‘with‘ imply a connection both ways. 3. Attributing motive, intent or emotion to objects as if they were human. This is, I believe, the most interesting in the context of photography, or any other visual art; at least, it’s the one we’re using most obviously when describing images in human terms. Again, think of those ‘angry‘ storms, ‘marching across the landscape’. So, whilst anthropomorphism is simply attributing human-like characteristics to any non-human objects, I’m writing about landscapes only here. I’m not talking about animal and bird behaviours: I’m considering assigning emotion, intent, motivation, thought and other distinctly human features to various aspects of a landscape image. This does include trees which look like people and mountains with faces, but it applies to weather systems as well: think ‘threatening clouds‘, ‘menacing darkness‘, ‘joyous light‘ and all those other fundamentally human emotions which we project onto landscapes. WHAT’S THE VALUE IN SEEING TREES, ROCKS AND WEATHER AS HUMAN? 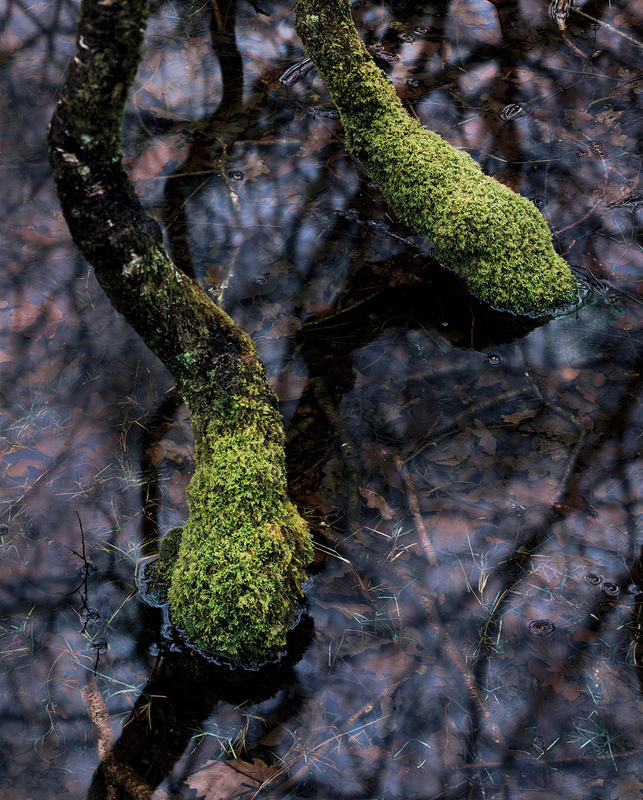 Here’s an image by Tim Parkin where the two trees look very much like legs and feet, standing in the water. I see this mainly as an example of the second type of anthropomorphism, but it has elements of all three if you start imagining the body attached to the legs, and perhaps the purpose it has in being there, even where it might be going, in that I see the legs as being braced, ready to move. I’m convinced that this vision of the subject as having near-human purpose makes me engage more with the image. …an oft-quoted, and paraphrased, piece of advice for making effective landscape photographs, and not necessarily one which requires any anthropomorphism whatsoever. It’s perfectly possible to have an emotional response to a scene due to association and memory, but eliciting that sort of reaction in the viewer is, from the perspective of the photographer making the image, pure luck. Whilst I may have an emotional response to a particular view of a particular hill, based on my past association with it, or even to a completely unknown hill which is reminiscent of something, you, as the viewer, may not, so the photographer has no real control over your response. · photographed from above and behind, on a stormy, dark day with waves forming the majority of the scene and the rock shown as small compared to the enormity of the ocean, it could be seen as a beleaguered guardian, apprehensive and about to be overcome by the power of the ocean. 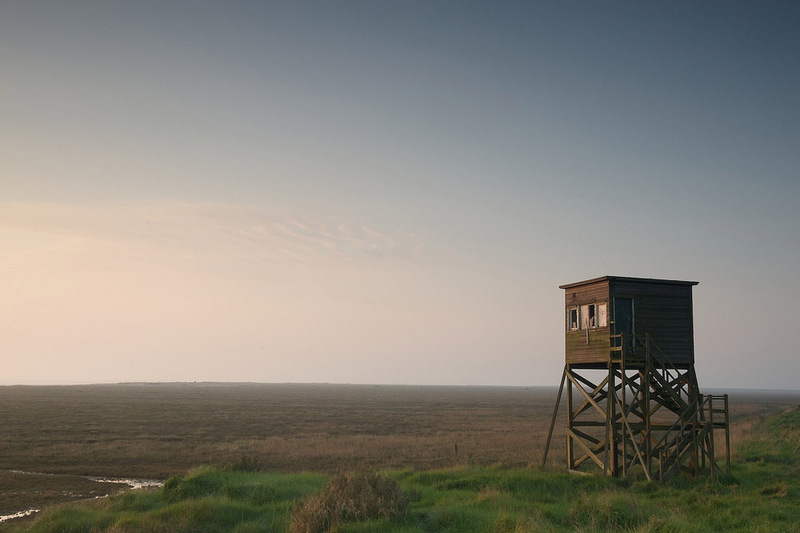 is of an abandoned hide on the Blackwater estuary. Duncan says that it ìlooks out over lonely salt marsh.î Whether or not I’d have seen this image that way without the caption, I don’t know, though I suspect I would, but, having read the caption, I’m unavoidably thrown into imagining myself standing there, not beside the hide but as the hide, surveying the bleakness of the scene ñ and yes, feeling lonely! On one level, and ignoring the technical aspects of colour, texture and detail, this is just an old wooden shed on stilts on a rather banal, flat landscape; adding the emotional overlay and identification with the hide’s situation (or predicament!) gives the image a great deal more impact, engendering a sense of isolation and abandonment. To my eyes, that emotional and situational identification with the hut helps the image a great deal. 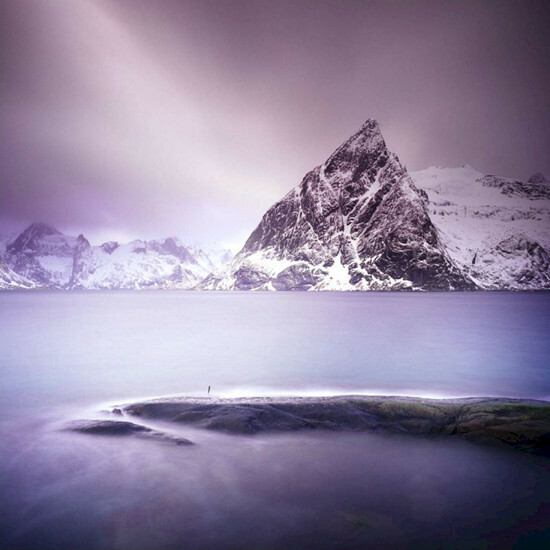 Another example is the following image, which Bruce Percy has kindly allowed me to use, of Olstind, a mountain on the Lofoten Islands of northern Norway. Bruce describes this mountain, in his ebook on Lofoten, as looking like an old man with a beard, perhaps wrapped in a nice, warm cloak, and talks about how he began to see the mountain as a presence whilst there, one to be engaged with. This anthropomorphic interpretation of the scene illustrates Bruce’s emotional engagement with the composition and with the surrounding landscape, and also conveys more interest in the image to me, as the viewer. It makes my whole experience of studying the photograph more involved and empathetic, both to its creation and to the end result. BACK TO NAMING AND LABELLING THEN? In each of the above two examples I drew their anthropomorphic quality from their names or captions initially, though of course I don’t know whether I’d have felt similar emotions had I seen just the images and no accompanying text. It’s obvious that words are not essential, that we as viewers can project human thoughts and emotions onto landscape elements without either being told to do so or told what those projections should be; but perhaps the use of words links the creating artist to the viewer and assists the process of appreciating their art? COMPOSE WITH ANTHROPOMORPHISM IN MIND? I think visualising and creating compositions with anthropomorphism in mind may be a useful technique in creating the ‘emotional engagement’ so often cited with reference to images of all sorts. And whilst engendering anthropomorphic feelings for the subject in the mind of the viewer is clearly easier with some subjects, and landscape photographs are certainly not amongst that group, it’s undoubtedly possible and potentially a very powerful tool in helping the viewer to engage with the finished image. Perhaps, however, rather than seeking to deliberately construct an image with the intention of inducing the viewer to attribute emotion to weather, rocks, trees, bodies of water or mountains, it’s most effective to simply allow oneself to see things that way during composition and hope that the resulting image will produce a similar response in people looking at the finished item, as I know Bruce did with his Olstind photograph? Whichever of those two approaches you take, I have written before about the potential benefits of naming and captioning images and I still think it’s useful. If anything, this idea of using a caption or name is reinforced by the idea that we can pass on the anthropomorphic view we had when capturing the image. At this point in my development as a photographer, all of this is very much just speculation. I’m not remotely suggesting that every image should, or indeed can, use anthropomorphism, either in itself or via associated titles and captions. What I am putting forward is the idea that doing so may well be, surprisingly often, a means of creating that much sought-after ‘emotional engagement’ between the viewers and the resulting image, and that it can therefore be a useful tool in composing images. Anthropomorphising something can make it seem more understandable and predictable: we ascribe intent or intelligence, even purpose, to the objects in the frame and this helps us in our basic wish to make sense of, and connect emotionally with, an uncertain environment. People’s need to use anthropomorphism to interpret and accept their surroundings is a long-established one, and using that seemingly inherent trait must surely be a useful tool to landscape photographers. My notes for this piece included whether or not actively treating subjects anthropomorphically is a good or a bad thing, and I’ve failed to think of any way in which it’s bad. So, I’d welcome comments on any of the above, including whether you think this is generally either positive or negative, both from the perspective of the photographer and from that of the viewer. Oh, and I just remembered that I called by most recent image ‘Talon’, as described in my previous article on being aware of the ‘right kit’ and at the time I wasn’t even thinking consciously about this subject!